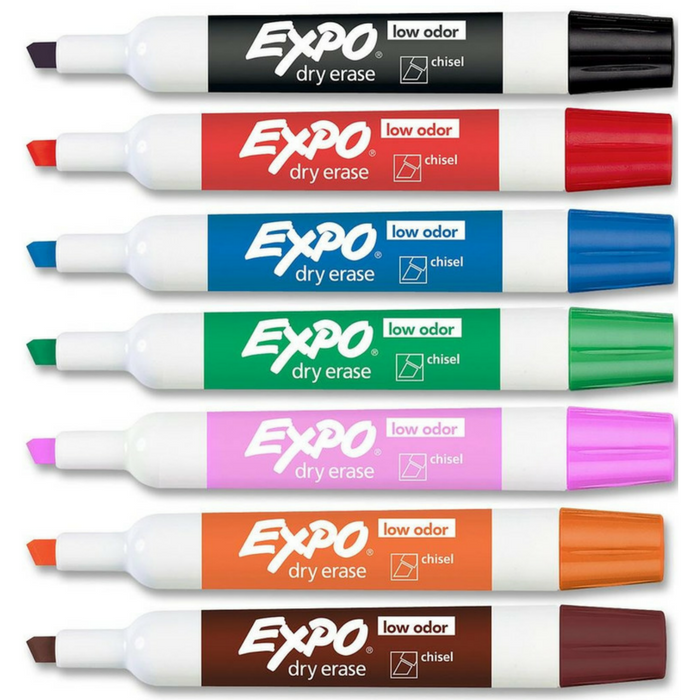 Expo Dry Erase Markers Just $10.44! Down From $18! You are here: Home / Great Deals / Amazon Deals / Expo Dry Erase Markers Just $10.44! Down From $18! Head over to Amazon where you can score this Expo Dry Erase Markers for just $10.44 down from $17.99 PLUS FREE shipping with Amazon Prime or for orders over $25! Use Expo’s dry erase markers to track, schedule, and present your point in a brilliant fashion. Intense, bold colors take center stage even from a distance. You can get Expo wet or dry erase markers in a wide range of tip sizes, ensuring your point gets across. And now, Expo Markers feature the same bright, vivid color now with low-odor, better-erasing ink–one swipe and it’s gone. Awesome! Whiteboard markers with versatile chisel tips allow for broad or fine writing.